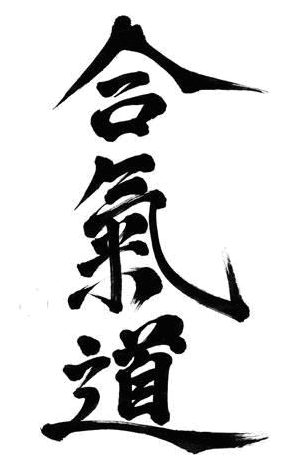 "The Great Teacher" the title earned by the most honored practitioner of Aikido, Morihei Ueshiba, encapsulates the essence of a man committed to learning the nature of the human spirit and ultimately, the true Way of the Warrior. Although a fierce fighter capable of defeating many opponents through his elite marital art skills honed through years of service to the military, Ueshiba desired above all else peace. The name Aikido literally means "The Art of Peace" and is the foundation of the martial arts movement practiced today under that name. 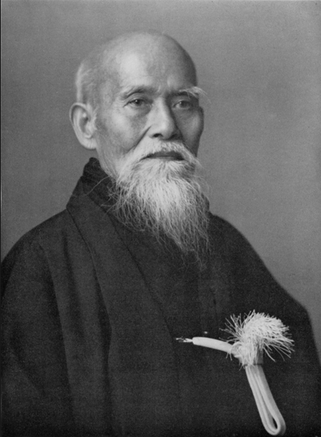 During his life, Ueshiba experienced a number of visions that influenced his perception and understanding of human suffering, violence and the nature of creation. He was not always a man of peace and was capable of bringing down almost any opponent with a single finger. However, during his lifetime he was transformed during what can best be described as a spiritual journey. But it wasn't until World War II and one of the greatest periods of suffering in his lifetime that Ueshiba's state of enlightenment crystalized and he was forever changed. After envisioning what he called the Great Spirit of Peace, Ueshiba explained that, "The Way of the Warrior has been misunderstood as a means to kill and destroy others. Those who seek competition are making a grave mistake. To smash, injure, or destroy is the worst sin a human being can commit. The real Way of a Warrior is to prevent slaughter - it is the Art of Peace, the power of love." From that point forward he was committed to using his skills as a warrior to teach the Art of Peace - Aikido - and sparked a generation of martial arts that balances the skills of a warrior with the ability to create a peaceful end to violence.